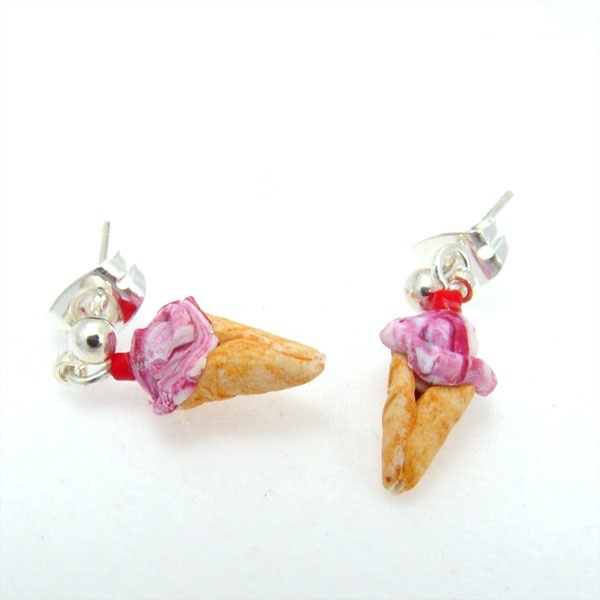 Raspberry Swirl ice cream cone earrings. These are handcrafted ice cream cones made from polymer clay and are 1/2" long. The cone has a raised texture on the outside making it look very realistic. They come on silver plated post earrings.